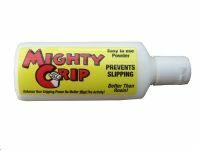 Mighty Grip Powder is a powder that gives you a better grip on the pole and reduces slippage. It reduces sliding and improves the stability and security of the dancer on the pole. Mighty Grip is non-sticky, can be washed off easily with water and - as it is a powder - naturally dries sweaty hands. 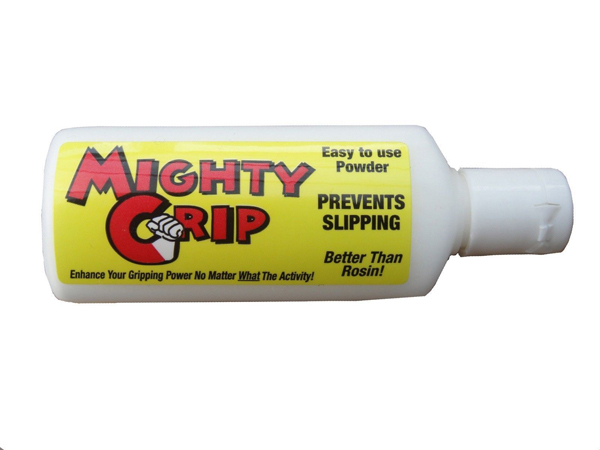 Mighty Grip comes in a handy small quarter-ounce bottle, but lasts for about 150 applications.